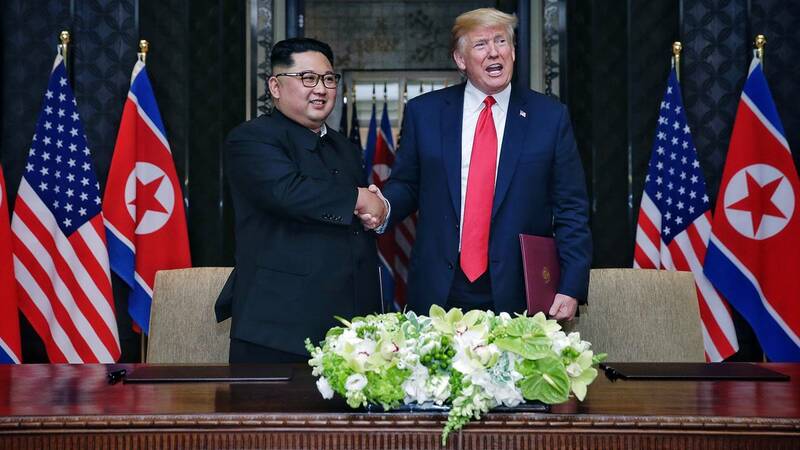 North Korean leader Kim Jong-un with President Donald Trump June 12, 2018 in Singapore. (CNN) - Secretary of State Mike Pompeo has received a letter from Kim Jong Un to U.S. President Donald Trump, according to a State Department official. It is not the first missive between the two leaders. Senior North Korean official Kim Yong Chol hand-delivered a letter to Trump at the White House before the two men met in Singapore in September, and several have changed hands since then. "This trust, despite some difficulties surfaced during the negotiation process between the U.S. and the North, will continue," said South Korean special envoy Chung Eun-yong, who met with Kim in Pyongyang on Wednesday. Since the two leaders' meeting in Singapore in June, negotiations between the U.S. and North Korea have stalled. Trump canceled Pompeo's planned trip to the North Korean capital last month, citing little evidence that North Korea had come through on any of its commitments to denuclearize.